I was looking at our cable bill last week (something I rarely do thanks to autopay) and I noticed that it was really high. Now granted we get everything, we have basic, expanded basic, digital, the sports tier, the family tier, Showtime, HBO, Cinemax, Stars, Encore, TMC, HD channels, a digital cable-box, and a DVR. As I said, we get everything and we pay ~$130 a month for it (which is about $30 more then when we originally signed up). The thought I had that made me realize that we need to change is that expanded basic costs ~$50 a month which means that we pay $80 a month for what? Digital, Sports Tier, and Family Tier have a bunch of stuff that we never watch (minus Nogin, Amber loves Degrassi). The premium stations are great, but we watch them for maybe 5 hours a month, hard to justify the cost for that when Netflix could serve the same purpose. The HD Channels are a little tougher, I really enjoy HDTV but our TV doesn’t do a great job with it (switching between 16:9 and 4:3 is not the best). 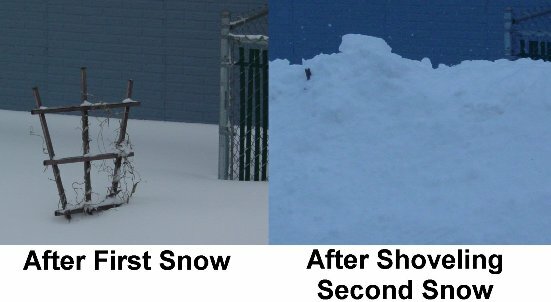 We have started keeping it in 4:3 mode and noticed that the difference is tolerable, besides there is always over-the-air if we miss it. The digital cable-box is useless without digital cable so that is an easy thing to let go of. That just leaves the DVR, we got the DVR a couple years back and it is a very important part of our TV experience. Our cable company uses the MOXI DVR which isn’t the greatest but works well. It is Dual HD-tuner, an 80 Gig Hard Drive, an OK menu interface, and that is pretty much it, nothing really to get excited about. It is very sad to say but we actually have issues with the Dual Tuner setup, there are times when we have 3 programs that we want to record at the same time, or a sporting event we want to watch live when two other programs want to record. Also, we have issues with things getting deleted before we can watch them, not all the time but we also have been trained to watch/delete fast. Even with those imperfections it is still the greatest component in our entertainment center, but at ~$20 a month it is kinda expensive ($240 a year!) and doesn’t fit into our move to free ourselves from monthly entertainment costs so it must go. We are now hypothetically down to just the $50 a month expanded basic setup and a hypothetical savings of $80 a month (almost $1000 a year!) all without really losing anything, which is kinda sad. The one thing we have to find a replacement for is the MOXI DVR and that is where the MythTV Box comes in. MythTV is an open source PVR, meaning that the software is FREE you just need to have the hardware and patience to install it. MythTV does almost everything the MOXI does, multiple tuner support, VCR controls for live TV, scheduled recording, and even supports HDTV (over-the-air). On top of that it can support a much larger number of tuners, I can put whatever size Hard Drive(s) I want into it, will hold our MP3 collection, we can rip our DVD collection into it, it does automatic commercial detection/skipping, much smarter scheduling and conflict resolution, web interface for remote scheduling, ability to watch recordings on any PC, and it is a Linux computer so it can double as a file server to backup our photos (that can be shared with and displayed through MythTV) and print server to allow us to do wireless printing to our printer (yes, we have a printer in the living room). Not only is that a run on sentence, it is a lot of good reasons to build the box. I should start by saying what my experience level is. I have built 2 computers from scratch, personally I think most people can figure this part out if they are willing to do a little research, be fearless about trying things, and have some technical friends that can help them through it. I have a novice level of experience with Linux, I don’t currently have any Linux computers at home but I have installed/run it in the past, used it throughout college, and I program in a Linux like environment at work. As that point eludes to I am a programmer (or if you feel proper a Software Engineer) this gives me two advantages to the average builder. 1) I have a really good feel for technology and software. 2) I have access to many people who are equally as geeky and have built, are building, or plan to build a MythTV Box. Enough about me, what is the plan? Upgrade our home network. This means purchasing a cable modem (saves us $5 a month off our cable-internet bill, which is $60 a year, considering the one I got cost ~$45 this is a no-brainer), wiring our main level with CAT5 (this allows us to put extender boxes in the bedrooms when we get to that point), install a gigabit switch (allow fast wired connections between the rooms), and upgrade our wireless router (don’t even get me started on our current one). This will be the framework for the rest of the project. Build the MythTV box. This is the fun part, finding, purchasing, and assembling the hardware. If this part doesn’t excite you then MythTV might not be for you. Install Linux/MythTV. This is the part that will take some time in order to get everything perfect. Extend MythTV to other TV’s. This is one of the best parts about MythTV, multiple “frontends” can use the same “backend” this means that with a small box you can access all the features of the main box in any room. This also means that we can save ourselves some cable degradation by having all our TV’s work over the network. This will help with some reliability and signal issues we have had in the past. Never touch it again. This is the end goal, I want this to be an appliance, a black-box that I forget is a computer. The other major test is Amber’s comfort level with it. Amber is very Tech savvy for a teacher but would have little patience for me having to SSH into the box to kill a runaway process. Point is, it needs to just work or we will have to look elsewhere. That is the plan, I hope to write about each step along the way and let everyone know how it is going. The network supplies should be going in this week, so look for an update soon. Would you let a Robot fix your Meal? I saw a small article that linked to a company website for WonderPizza. 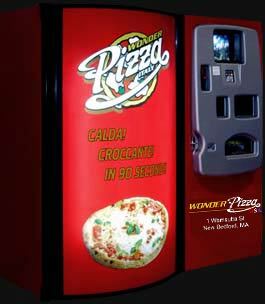 The idea behind this vending machine is that it stores frozen pizzas and runs them through a fancy toaster oven before delivering the customer a hot personal pizza. I think the idea behind this machine is very promising and I imagine that it is the start of a trend towards automated prepared food delivery. I can think of no reason why most fast food chains (and even some national “sit-down” chains) could not be completely automated. Sound far fetched? At one of our local McDonald’s the are already using a robotic beverage system to fill drive-thru drink orders. According to this article and this article (randomly chosen from google) this is part of a larger project done by McDonald’s to go towards completely automating their franchises. This makes perfect sense, if you take a look back in the kitchen of a fast food restaurant (but not too close of a look) you will see that the “cooks” function very much like machines already. In order to maintain quality, speed, and consistency everything is timed, pre-measured, and repetitive. It would not seem too difficult to replace that human with a machine that does the exact same work, in essence turning the restaurant into a giant vending machine. Point is, I think this pizza machine is just the tip of something that will be very commonplace in the next 10-20 years and could change the way we eat. For me, as long it would improve my lunch options I would be happy. I am a big fan of Jonathan Coulton’s folkish version of Baby Got Back (originally by Sir Mix-a-lot) it is kind of like The Gourds cover of Gin ‘n Juice. I just saw this video mashup someone did with the original Baby Got Back video and Coulton’s song. It obviously took someone a lot of time and the result is pretty cool. At the same time there are some parts of this video that just were not meant to be played in slow motion. Still worth a watch for all you children of the 80’s.